In commemoration of the Lenten Season, I’d like to share one of my Lenten experiences. This happened last year though. I received a call of referral to attend to the delivery of a baby who was initially diagnosed as a case of hydrops fetalis (baby is swollen all over his body). My case is that of a baby who is term, who was worked up (as mother is considered high risk, >35 years old primigravid –first time pregnant ) and initial ultrasound during middle of pregnancy revealed hydrops fetalis. A repeat ultrasound again after one month described the baby to be hydropic. With this, parents were advised not to expect much, that the baby has a slim chance of surviving. Parents were then preparing (emotionally and psychologically) that baby will not survive for a long time after birth. Mother was admitted when labor started but cervix remained at 9cm for several hours. Because of this, a second opinion was obtained from another obstetrician, who repeated the ultrasound. The result was… UNEXPECTED! 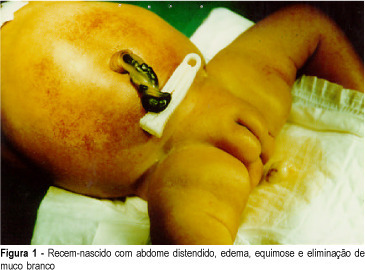 Baby had no hydrops, instead he has a mass (tumor) at the abdomen. So this then made us rattled and shift paradigm. Parents, who were resigned to the feeling of hopelessness, had to be informed that the initial consideration was wrong and the baby might still have a chance of making it in indeed this is a tumor. (A tumor can just be removed and then presto! Chemotherapy might also be done, if indicated). From the initial state of unpreparedness (emotionally, psychologically, financially) for a longer baby’s stay in the neonatal ICU, the parents now had to. (Mother is 40, a teacher, while father is a contractual laborer). After all, this is going to be their first baby. An emergency cesarean section was thus scheduled. The baby was born weighing 3.6kgs, with noticeable swelling at the abdominal area. When baby was stabilized and brought to the NICU, ultrasound of the abdomen and surgical consult was in order. The ultrasound of the abdomen revealed a complex mass with calcifications, and an x-ray done afterwards was suggestive of meconium peritonitis. An emergency operation of the baby was scheduled but the parents (who were not expecting this) didn’t consent. I went back later in the day and tried to explain the findings of the surgeon, and that I think convinced them to sign the consent. (Meconium peritonitis means that a part of the intestine ruptured while the baby is still in the uterus, and thus meconium — baby’s stool, leaked into the entire abdominal cavity. This can cause the other segments of the intestines become irritated and develop a reaction against the meconium). The operation was successful, and the point of rupture was located, cut and then the intestines were then re-attached/re-anastomosed. A drain was in place that will be removed when baby will show signs of healing. Baby was brought back to the ICU immediately after the operation, stabilized. Antibiotics were given to cover for possible/ongoing infection. However, just as when we decided to begin feeding baby, he started having fever. Initially, I thought perhaps the antimicrobials were not doing their job so I had to switch to stronger kind. But the fever was unrelenting, while I kept on changing antibiotics every after five to seven days. I even referred the baby already to an Infectious Disease specialist to no avail. Also, from being able to breath on his own, baby now had to rely on continuous positive airway pressure. Platelets were also dropping to alarming levels. Blood was also coming out of the mouth and from the endotracheal tube. I suggested to the mother, (not to insult their financial capability but out of concern because I considered their sources of income and the baby’s mounting expenses), that I will refer the baby to social service so that they will be classified charity case, they agreed with great sigh of relief. Their emotions and mental status were already on roller coaster.